A great overview of one of the greatest 60s groups to ever record on the UK scene – the legendary Walker Brothers, who then spun off Scott Walker as a solo act – then reformed briefly for a few more records in the 70s! 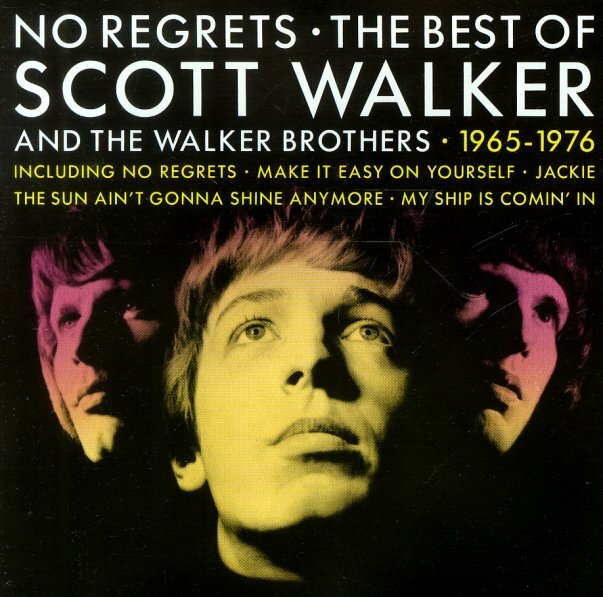 Scott Walker's solo work has become the stuff of legend over the decades – really transformative sounds that took a standard pop mode, and created this new level of mature, masculine expression – as you'll hear here on tunes that include "Lights Of Cincinnati", "Jackie", "If You Go Away", "Boy Child", "Joanna", and "Montague Terrace In Blue". But the Walker Brothers themselves were pretty darn great – and record in this unusual British variant on styles that the Brill Building songwriters and producers like Phil Spector were using for American soul – spun out here on titles that include "My Ship Is Comin In", "The Sun Ain't Gonna Shine Anymore", "Make It Easy On Yourself", "Another Tear Falls", "Stay With Me Baby", "First Love Never Dies", "Walking In The Rain", "You Don't Have To Tell Me", "Love Her", "We're All Alone", and the great soundtrack theme "Deadlier Than The Male", and their mid 70s hit version of "No Regrets". © 1996-2019, Dusty Groove, Inc.